Last Minute Christmas Gift Ideas: Take A Peek On What Makes Me Happy! Anyways, I've been receiving gifts here and there too! I want to thank friends and companies whom I met through years of blogging for spoiling me with gifts! And even though I have enough makeup , skincare products and just ENOUGH GIFTS in general, I still find myself opening up each gift like a kid! And you may want to take a peek on what made me happy and giddy this season and maybe, you can look at this list as a cheat sheet for your last minute Christmas Gift Ideas. The best-selling Water Sleeping Mask is housed in a limited edition holiday packaging! You may have friends who are a fan of this sleeping mask and he/she will definitely appreciate the new packaging! Aside from that, you may include Two Tone Shadow Bars which are mostly "holiday colors", shimmery without the glitters! Will definitely share more looks and photos of these Two Tone Shadow Bars soon! 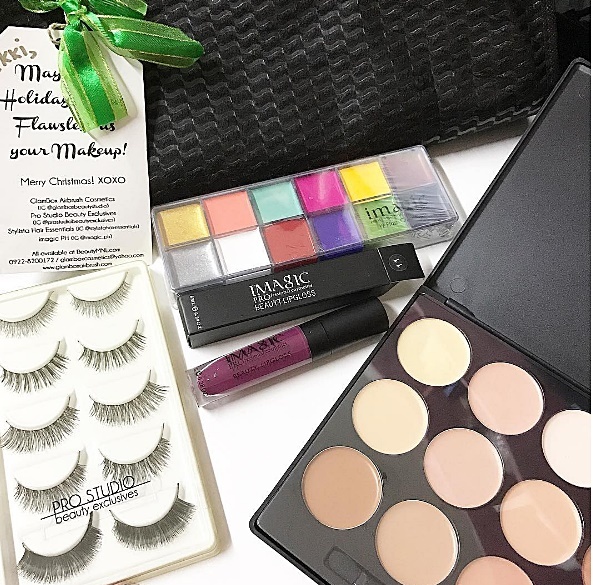 Pro Studio Beauty Exclusives are known for their makeup palettes, I've recently featured about their Concealer/Corrector Palettes as wonderful gift ideas for Make Up Loving Friends and guess what? You may add in IMagic products! IMagic Cosmetics are HK based cult professional makeup brand. And hey, don't forget those lashes from Pro Studio Beauty Exclusives! I set comes with 5 different pairs of lashes. Then there's the gift of Nature! Burt's Bees has always been my to-go-to brand for those I know will appreciate the gift of Nature. Every year, they curate lovely sets in lovely packaging wherein you don't need to wrap your gifts anymore! You may shop online www.burtsbees.ph and these are also available at Zalora and Beauty Bars near you. Then you can always give simple gifts to friends who are into lipsticks! Who can go wrong with the Maybelline lipsticks? They are inexpensive yet very good in pigmentation, quality and color choices! And if she's a bestfriend and you want her to #Makeithappen ! You may give her several Maybelline products to create Natural, Romantic or even Bold makeup look! And one of the most creative and unique gift I got is from L'Oreal Paris Philippines. They created a "book-like" set that sets, #ReunionReady Survival Kit. In the set includes 4 types of scenarios and how you can get away by looking great! No explanations needed, because we don't owe anyone any! And of course, for our skincare loving friends who have sensitive skin, I always recommend Clinique! I am so happy to receive their newest Clinique Happy Gelato Cream for the body and the most talked Pep-Start Hydroblur Moisturizer. There are even more gifts from Origins! Check out their store as they have EVERYTHING for Everyone! They are packed per sets based on the skin's needs! Scent-sational body treasures treat skin to the warm wonders of irresistible Ginger. Mary Kay also sent me their newest fragrance called UPBEAT Fragrance for the Music! It is a A flirty, fruity, energetic scent with a sparkling open and a warm finish. Top notes: red berries, sweet nectarine, sparkling apple. So definitely a Christmas-y scent too! Then there's always a "Gift for Kilay" because #KilayIsLife I remembered gifting a friend of mine a bag and a K-Palette Brow product and she messaged me right away thanking me for the KILAY product! The bag is super gorgeous but seems she forgot about it when she got the K-Palette Real Lasting Eyebrow Pencil. 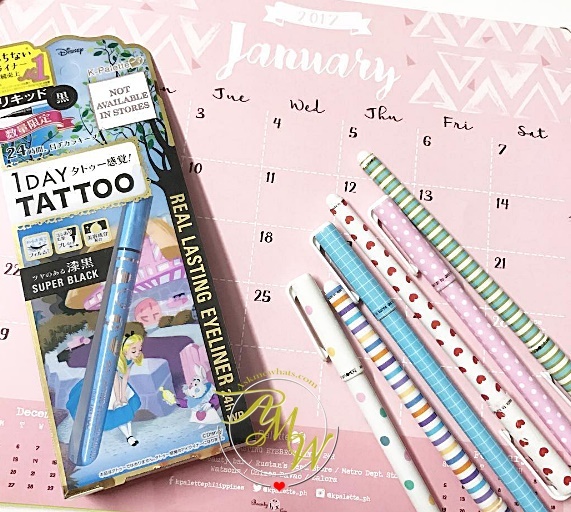 Thanks Cheryl of BeautyBoxCorp for gifting me and several blogging friends the limited edition Disney Real Lasting Eyeliner 24H. Thankfully, Happy Skin gifted me their Glam Squad Contour and Color palette because the original Contour and Highlight Palette is almost gone! I've hit the pan and is preparing to repurchase! But this gift is definitely an answered prayer! I was planning to visit a Happy Skin store for this particular contour palette and I got it as a gift! 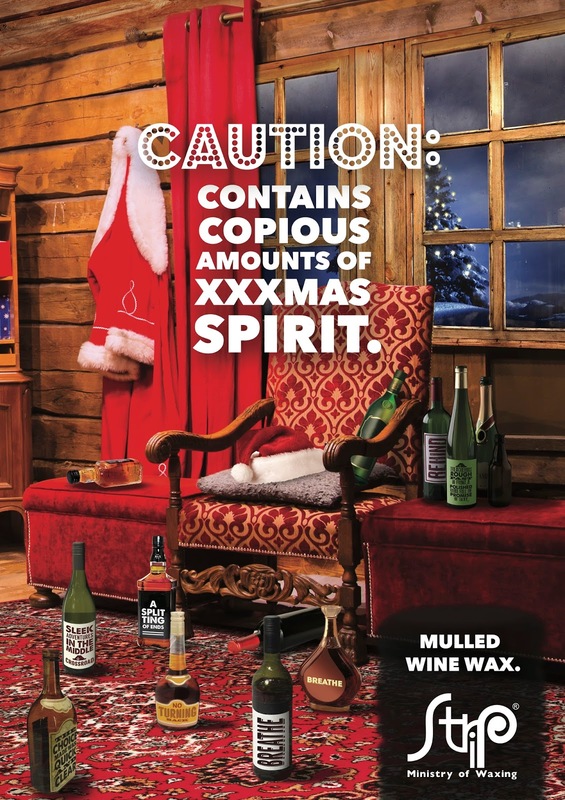 Then of course, this is a gift for ONESELF, if you are going on a trip for the holidays and want to stay confidently beautiful enough to bare wherever you go with STRIP's limited Edition Mulled Wine Wax. "Following the same well-loved formula that STRIP has been known for, the limited edition Mulled Wine Wax is perfect for those who are thinking of getting Brazilian or Boyzilian for the first time. It’s infused with the warm and festive scent of red wine, orange, cloves, and cinnamon, which is sure to get you into a holiday mood. Packed with the healing effects of aloe vera and chamomile, STRIP’s waxes are known for significantly reducing any discomfort that is often associated with waxing, making it ideal for use on sensitive areas. In addition, it also helps keep waxed areas well-hydrated, and even brightens it with regular use. " And of course, the best gift I received is from Mr. AMW! We told each other there's no gift-giving between us since Kyle came along! But obviously, he broke our "agreement". But it was a sweet one anyways! Since giving birth to Kyle, we didn't travel as a couple of the past 2 years and this is his way of saying, we will continue our travel adventure soon! With #KyleNash by our side of course! Got any cool last minute gift ideas to share? I'd love to read your list! Advance Merry Christmas AMW friends!